Canada is an ideal destination for the worldwide immigrants to come, live, work and raising a family. Its favorable immigration policies, idyllic working conditions, relatively high employment rate and terrific infrastructure and facilities lure thousands of individuals and families to immigrate here and get settled on a permanent basis. However, life always becomes easy if you plan things in advance, especially, when it’s about moving to a new country and new socioeconomic environment. 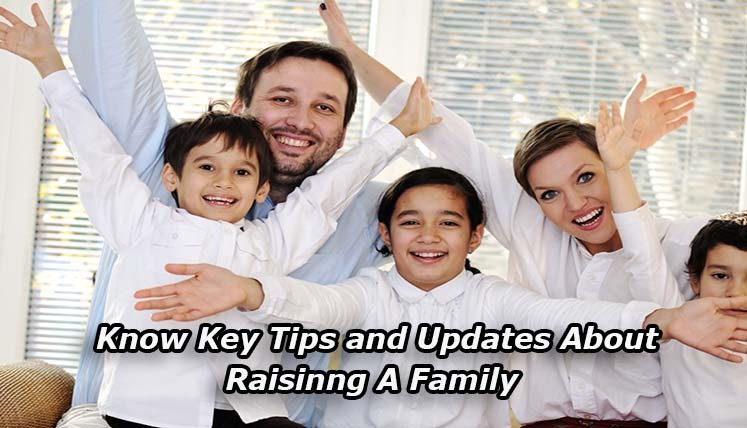 We are listing here a few things about raising a family in Canada, which you must consider if you are planning your move to Canada. There are a number of services and programs that Canadian Government offers to the families in Canada. There are services and definite programs available, whether your kid is an infant, in pre-school, elementary school or secondary school. As discussed already, the government of Canada has launched several services, benefits, and programs for the children in the country; however, in order to avail these benefits, your child would require SIN (Social Insurance Number). The SIN is also requisite when the young individuals get their first salaried job. For the children under majority age, their legal guardians or parents need to apply for a SIN, while the kids of 12 years or older can apply themselves for their SIN. To save for your kid’s post secondary or higher education, the federal government provides dedicated saving plans, i.e. Canada, Education Saving Grant, Registered Education Savings Plan, Canada Learning Bond, etc. These programs are also available for the kids once they commence their post secondary studies. Such saving plans, services, and programs are also being offered by provincial or territorial governments. There are several federal benefits are available for you as a parent, in Canada. The benefits given are categorized based on the different financial and family conditions and requirements. For example, there are a few benefits available to the families with low income only, some are for available for all, and a number of them depend on the child age, etc. criteria. A few of them are: Child Disability benefit, Canada Child Tax Benefit, Universal Child Care Benefit, etc. The families with kids in Canada are also eligible to receive the benefits being given by the territorial or provincial governments in the country. There are several programs in Canada to provide you parenting education and assistance via regular sessions, i.e. Nobody’s Perfect, Public Health, and Safety Agency of Canada. You can also refer the website of Health Canada and Healthy Canadian websites to know about healthy diet, eating and living. There are various aspects and internal things, which needs clear understanding before you actually submit Expression of Interest (EOI) in any of the immigration programs or apply for the Canadian Visa under a particular category on receipt of the invitation. In such a scenario, help and assistance from a reliable Visa Consultancy Services can prove immensely vital in understanding the complex immigration procedure and also to know about the post landing services, i.e. Federal benefits & Services, housing and accommodation, jobs, community services, etc.